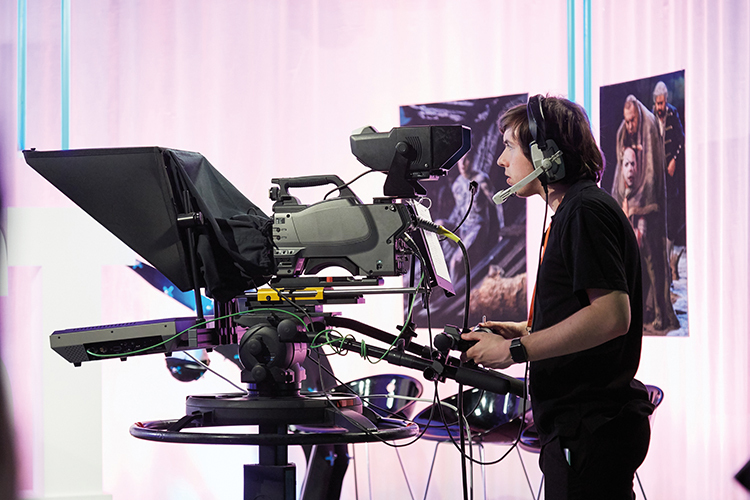 An industry-focused university dedicated to preparing its students for careers in digital media and design, London’s Ravensbourne University offers courses that provide experience in using modern broadcast technology in real-world video production scenarios. Shakespeare is a key part of school curriculums across the UK. The collaboration allows institutions which can’t take students on trips to the theatre, to offer a rich experience from the classroom. The broadcasts reach everyone from primary students of six or seven years old, right up to college-level students aged 17 and 18. When Ravensbourne launched its collaboration with the Royal Shakespeare Company to bring live broadcasts of Shakespeare performances into hundreds of UK classrooms, the production team knew that viewer scale would outstrip the capacity of its traditional on-premises infrastructure. It opted to transition to a cloud-based operation to power its OTT TV distribution, resulting in the selection of Amazon Web Services, including AWS Elemental. Consistent quality of service, easy scalability and access to detailed viewer analytics were key factors in its choice. The university also saw an opportunity to provide students with hands-on experience with the latest in cloud-based video processing and delivery technology from AWS Elemental. Ravensbourne’s transcoder output two 8Mbps 1080 MP4 streams. These were pushed to AWS Elemental MediaLive and transcoded into HLS (Http Live Streaming) TN2224. AWS Elemental MediaPackage then repackaged the stream to an HLS manifest file (m3u8) with Player.js playing from the manifest on the website. Amazon CloudFront was used as the CDN and has delivered 13TB of data to 84,000 students across 600 schools. Ravensbourne is planning testing for an upcoming broadcast with AWS Elemental MediaPackage outputting MPEG DASH as well and using the dash.js player. With AWS Cloud now integrated into the university’s live OTT infrastructure, Ravensbourne is able to take advantage of a comprehensive set of services for media processing and distribution as well as monitoring and management. Powered by AWS Elemental media services, he infrastructure’s flexible adaptive bitrate video processing and integrated content delivery network has allowed Ravensbourne and RSC to easily stream live productions free of charge to nearly any school in the country – even those in remote locations with inconsistent bandwidth accessibility – and to open up a whole new world of discovery and learning for its students. As well as benefiting schools across the UK and beyond, the collaboration is of great benefit to Ravensbourne students. It gives them the opportunity to work on a live, professional standard broadcast with an audience of 20,000-30,000 students. They are also given the chance to partner with their peers in the broadcast and entertainment industries. 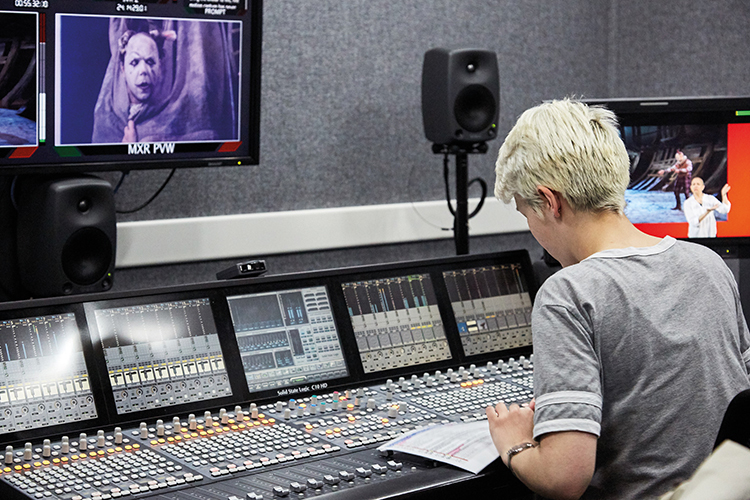 Ravensbourne works with leading broadcast technology organisations giving students the chance to use the latest technology. The Department of Production have involved Vizrt, for example, to enhance the graphics system of the Schools’ Broadcast series. “It’s a fantastic resource to have at our disposal on so many levels,” says Manning. “Our students are able to dive deep into the workflow to get real-world experience, and we can give them a more holistic understanding of production processes and technologies in theory as well as in practice. Furthermore, by bringing these exceptional performances directly to students across the UK we’re able to draw new interest to both Ravensbourne and RSC.